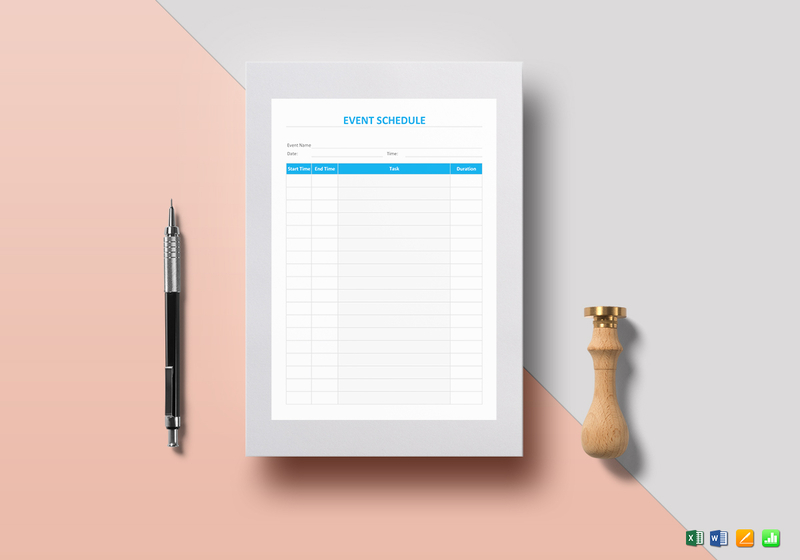 There are plenty of things to keep in mind when running an event, and this schedule template will help make sure that everything is accounted for. 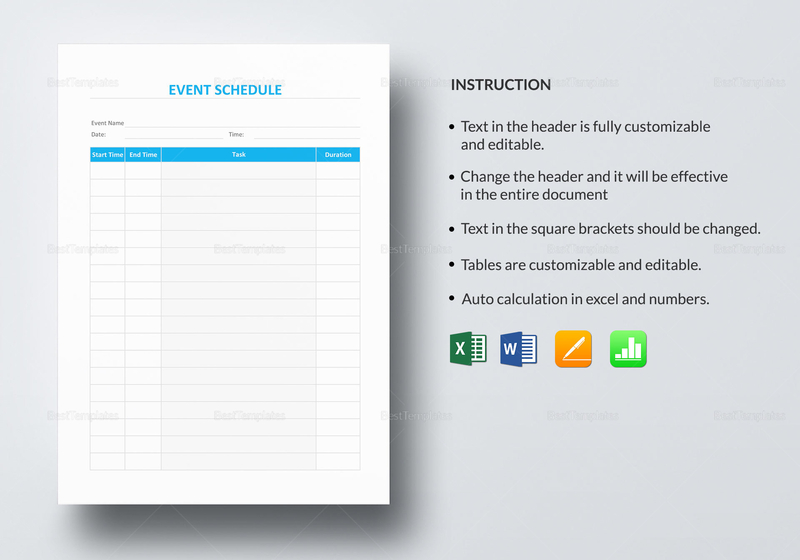 Simply download the file in any of its available file formats, or open in Google Sheets. 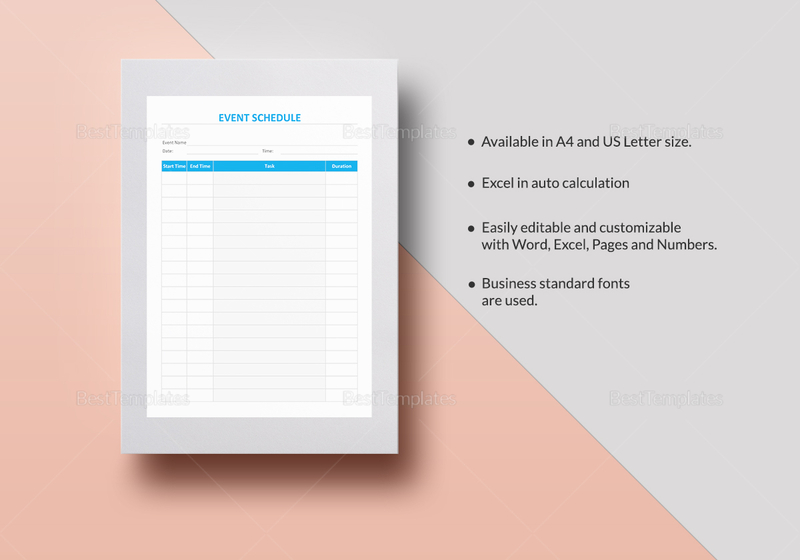 Edit as you deem necessary, then print or share with your coordinators for a streamlined event to remember.